As many economists expected, the Bank of Canada announced today that it is increasing the overnight rate by .25% to a (total of 1.5%), the fourth increase since last summer, given strong economic improvements. The economy and job market are performing well, housing is beginning to stabilize, oil prices have gone up, exports are strong and businesses are spending. The Bank also wants to keep inflation near the target. The Bank “will continue to take a gradual approach” to further increases and is certainly watching the effect of ongoing tariff disputes and the “economy’s adjustment to higher interest rates.” The next rate-setting day is September 5th. Homeowners with variable-rate mortgages will see their rate increase along with a possible modest payment increase. Lines of credit will be similarly affected. You should have confidence in your mortgage plan. It’s very important to work with an experienced professional who knows the right questions to ask to assess your situation and provide the direction you need to save money over the long term. You’ll also save yourself a lot of time and stress! Ontario - Positive signs with respect to the housing market. Toronto, July 5, 2018 -- Toronto Real Estate Board President Garry Bhaura, in his first market release as TREB President, is pleased to announce some positive signs with respect to the housing market. Greater Toronto Area REALTORS® reported 8,082 home sales through TREB's MLS® System in June 2018 – up 2.4% compared to the low June 2017 result. After preliminary seasonal adjustment, sales were also up 17.6% on a monthly basis between May 2018 and June 2018, continuing the trend of somewhat volatile month-over-month changes over the past year as home buyers reacted to various policy changes impacting the market. "Homeownership has proven to be a positive long-term investment. After some adjustment to the Fair Housing Plan, the new Office of The Superintendent of Financial Institutions (OSFI) stress test requirement and generally higher borrowing costs, home buyers are starting to move back into the market, with sales trending up from last year's lows. Market conditions appear to be tightening, with sales accounting for a greater share of listings, as new listings have dropped compared to last year," said Mr. Bhaura. The average selling price edged up by two% on a year-over-year basis to $807,871 in June 2018. After preliminary seasonal adjustment, the average selling price was also up by 3.3% month-over-month between May 2018 and June 2018. The MLS® Home Price Index (HPI) was down by 4.8% on a year-over-year basis but remained basically flat month-over-month. The difference in the year-over-year rates of change between the average price and the MLS® HPI was likely due, at least in part, to a change in the mix of properties sold in June 2018 compared to June 2017, with low-rise home types accounting for a greater share of sales in June 2018. Ottawa, July 5, 2018 -- Members of the Ottawa Real Estate Board sold 2,070 residential properties in June through the Board’s Multiple Listing Service® System, compared with 2,163 in June 2017, a decrease of 4.3%. The five-year average for June sales is 1,914. June’s sales included 455 in the condominium property class, an increase of 11.5% from June 2017 and 1,615 in the residential property class, a decrease of 8% from a year ago. “The robust condo numbers are likely fueled by lack of inventory, particularly in the lower price points of the single-family resale market. For example, in the first half of the year there has been a decrease of 37% in the number of single-family units sold at the $250-275K price point and a 41% decrease for the $275-300K price range, whereas there is a corresponding increase in condo sales of 49% and 22% respectively for those same price points,” Shaw points out. The year to date average Days on Market (DOM) for residential homes has decreased 18% from 46 days in 2017 to 37 days currently. For condos, the DOM has decreased from 71 days to 52 days, a 27% decrease from June 2017. “The decrease in DOMs indicates that inventory is turning over much more quickly, likely due to the lack of available inventory in certain areas of Ottawa. To increase the number of listings available, we need the right product availability to entice sellers to give up their homes, particularly boomers. Many have indicated they would happily list their homes if we could offer them a property that fits into the lifestyle that they want. The downtown apartment condo is not at the top of their list,” remarks Shaw. “Ottawa’s real estate market continues to move forward at a reasonable pace. 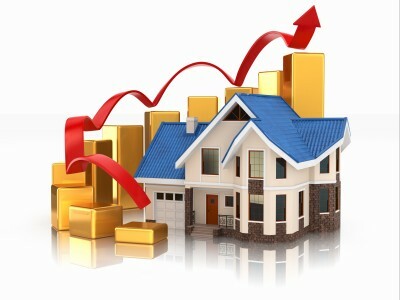 Undoubtedly, inventory remains low, but our property prices continue to be stable and affordable. We are very fortunate not to be experiencing the volatility of other markets in our country,” Shaw acknowledges. In addition to residential and condominium sales, OREB Members assisted clients with renting 1,320 properties since the beginning of the year. Vancouver, BC – July 13, 2018. The British Columbia Real Estate Association (BCREA) reports that a total of 7,884 residential unit sales were recorded by the Multiple Listing Service® (MLS®) across the province in June, a 32.5% decrease from the same month last year. The average MLS® residential price in BC was $716,326, down 1.3% from June 2017. Total sales dollar volume was $5.6 billion, a 33% decline from June 2017. Year-to-date, BC residential sales dollar volume was down 18% to $32 billion, compared with the same period in 2017. Residential unit sales decreased 20% to 43,863 units, while the average MLS® residential price was up 2.4% to $730,492. Calgary, July 03, 2018 -- City of Calgary, July 3, 2018 – Many Canadian energy-related municipalities within Alberta and Saskatchewan have seen housing markets struggle over the past few years, resulting in price declines. The recent mortgage rule changes and higher lending rates are factors weighing on demand and prices across some of those areas. "While our economy is no longer in a recession, persistently high unemployment rates, concerns over long-term growth, rising lending costs and stricter qualifications are all weighing on the housing demand," said CREB® chief economist Ann-Marie Lurie. "Growth in new listings is starting to ease for some property types, but it is not enough to prevent continued supply growth and, ultimately, an oversupplied housing market." Weak sales activity in Calgary continued into June, as residential sales for the month totaled 1,896 units. This is 11% below last year and 12% below long-term averages. New listings continued to rise, with further inventory gains and months of supply now at 4.7 months. High inventories in comparison to sales have generated more widespread buyers' market conditions, causing downward pressure on prices. The city-wide benchmark price in June totaled $436,500. This is just below last month and 1.13% below last year's levels. The detached segment of the market accounts for over 60% of overall sales activity and makes up over 54% of the inventory, with 4,817 units as of June. While sales have fallen and inventory has been rising across most price ranges, inventory levels for homes priced under $500,000 remain well below peak levels. "In any market, it's extremely important to be well-informed, whether it's about the process to get pre-approved for a mortgage or having the most up-to-date information about the prices in the community you are buying or selling in," said CREB® president Tom Westcott.